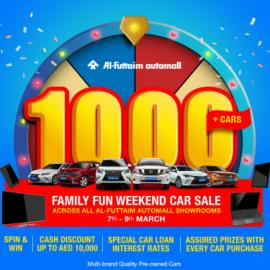 Automall Car Sale Event. Family fun weekend car sale is back. 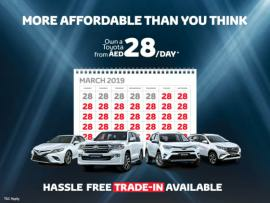 Car Sale Event Dates - 7th to 9th March. Location - All Automall Car Showrooms across the UAE. Mitsubishi 2 Mega Days! 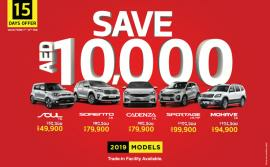 Get great value and greater savings on Pajero, Montero Sport and Outlander. Extended till March 2 due to popular demand. 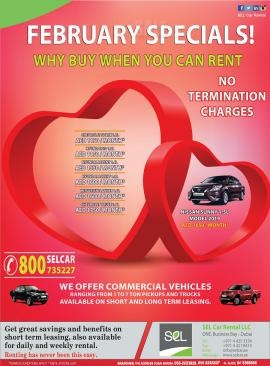 SEL Car Rental - February Specials! 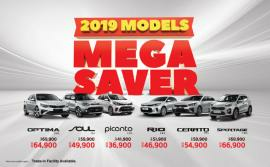 KIA - Save AED 10,000 on 2019 Models. Trade-in Facility Available. Limited period offer. 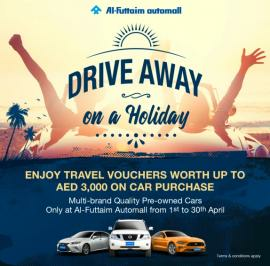 Al-Futtaim Automall - Test drive to get rewarded. 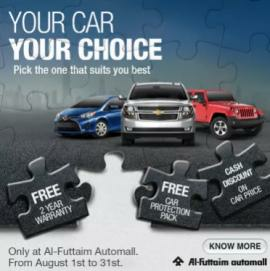 Cash discount of up to AED 3,000 on your car purchase with Automall. Mitsubishi 7 Big Days! 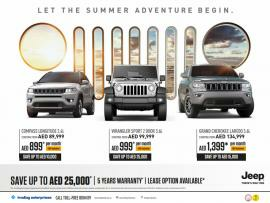 Offering amazing deals on Pajero, Montero Sport and Outlander. From 5th -11th February. 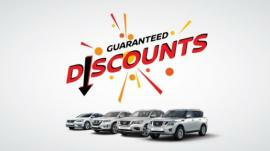 This DSF, enjoy Guaranteed Discounts on a range of Certified Pre-Owned Nissan cars. Be amongst the first to take advantage of our low-mileage, limited stock cars. Jan 2 – Feb 2, 2019 only. 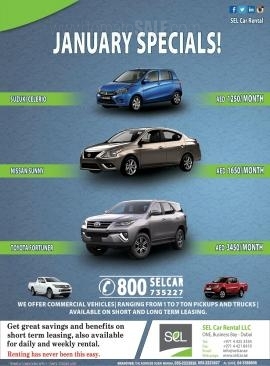 SEL Car Rental - January Specials! 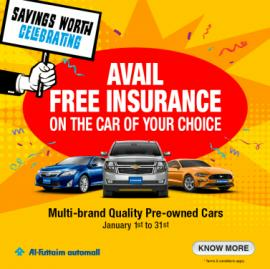 Al-Futtaim Automall - Savings Worth Celebrating. Get free car insurance on certified quality pre-owned cars. 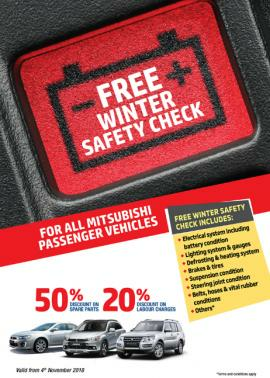 Free Winter safety check for all Mitsubishi passenger vehicles. 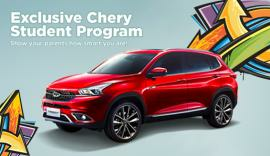 SEL Car Rental - Get the SEL Advantage! Get great savings and benefits on long term leasing, also available for daily and weekly rental. 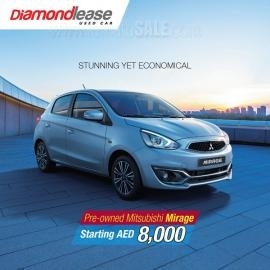 Diamondlease Car Rental - Pre-Owned Mitsubishi Mirage Starting AED 8,000. 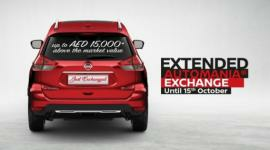 Grand sale on Nissan certified pre-owned cars. These deals are available for a limited 10 days only. 18 – 27 December. Offer valid until stocks last. 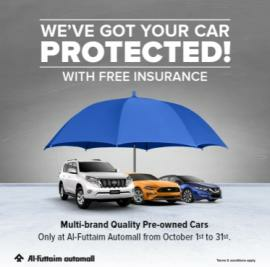 Enjoy free car insurance when you buy a quality pre-owned car from Automall. 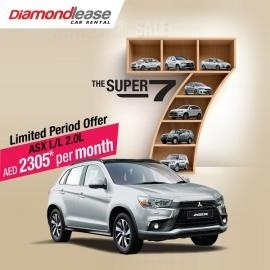 Diamondlease Car Rental - The Super 7. Limited period offer. 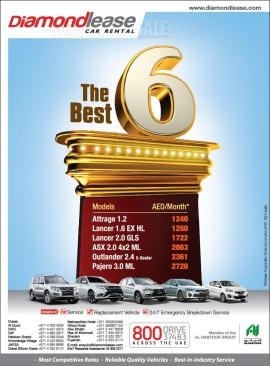 ASX L/L 2.0L AED 2305* per month. 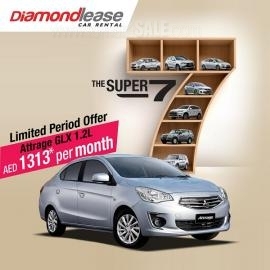 Diamondlease Car Rental - The Super 7. Limited period offer. 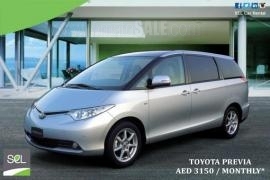 Attrage GLX 1.2L AED 1313* per month. 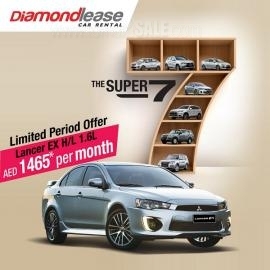 Diamondlease Car Rental - The Super 7. Limited period offer. 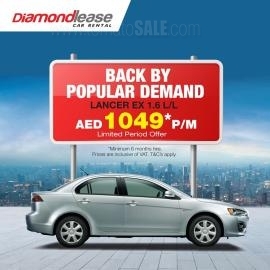 Lancer EX H/L 1.6L AED 1465* per month. 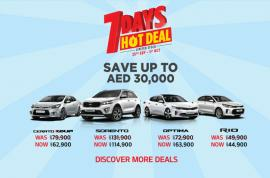 KIA Hot Deal Only For 7 Days! 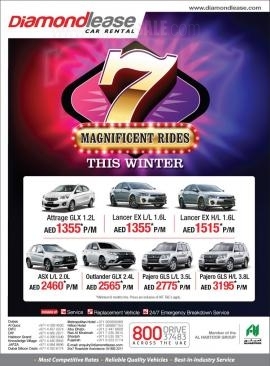 Save up to AED 30,000 on selected models. 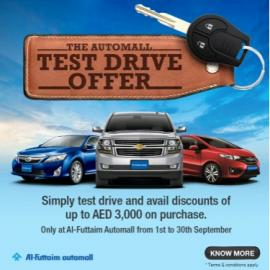 Al-Futtaim Automall - The Test Drive Offer. 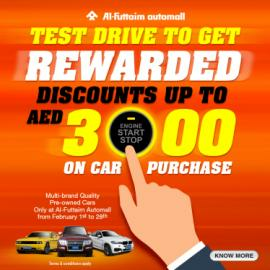 Visit any Automall car showroom and simply Test Drive a car to avail cash discounts of up to AED 3000. 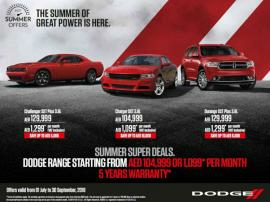 Dodge - Summer Super Deals. Offer valid until 30th Sep 2018 only. 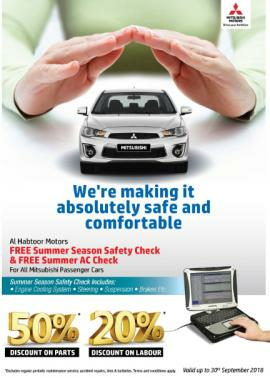 Free summer season safety check & Free summer AC check for all Mitsubishi passenger cars. 3 Big Days Offer. 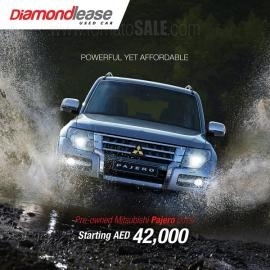 Mitsubishi offers 3 Big Days on Pajero, Montero Sport and Outlander. From 20th - 22nd September. 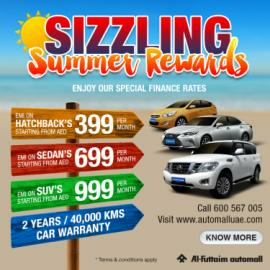 Al-Futtaim Automall - Sizzling Summer Rewards. Special promotion for Headlight restoration at Directed Auto. Get a list of best deals, offers, discounts, exchange offers and sale for all types of automobiles and their spare parts on TomatoSALE. Get your dream car at a better price and save money. Log on to TomatoSALE to get all information about car and other automobile deals in stores in Dubai, Abu Dhabi, Sharjah and all over UAE. Find the best deals, offers, discounts, sale & exchange offers for automobiles such as cars, high end SUVs, heavy duty vehicles, spare parts and more by logging onto TomatoSALE. Get an exhaustive list of deals from various stores in Dubai, Abu Dhabi, Sharjah and all over UAE through TomatoSALE. Buy your dream vehicle at rock bottom prices. 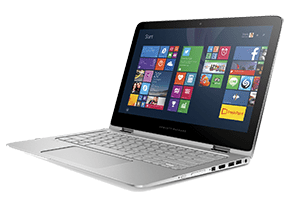 Be the first one to know about these sales and offers and get them before offers are closed. Get high end automobiles deal information only on TomatoSALE. One destination for all shopping offers for malls, stores, shopping centers anywhere in Dubai, Abu Dhabi, Sharjah and all over UAE. Find the latest deals and offers on vehicles from BMW, Chevrolet, Dodge, GMC, Honda, Hyundai, Nissan, Toyota and more! 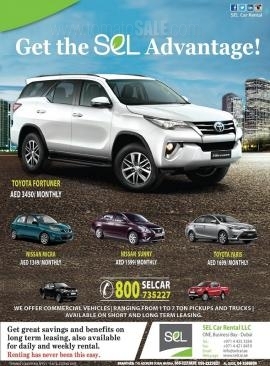 Get all information about Automobiles showrooms in Dubai, Car rental offers in Dubai, Best tyre deals in Dubai, Used cars promotion and offers, Car wash deals in Dubai, Car deals in Dubai, Auto servicing and repairing deals, Used & pre owned cars offers in Abu Dhabi, Cars & SUVs Deals and Used Cars Special Offers by browsing through TomatoSALE.